With two wins in their first two games in the Serie A, Juventus are now on the top of the league next to Napoli, both tied with 6 points. This Saturday, the Bianconeri welcomed Lazio in Turin and dispatched the Romanian side with a 2-0 win. 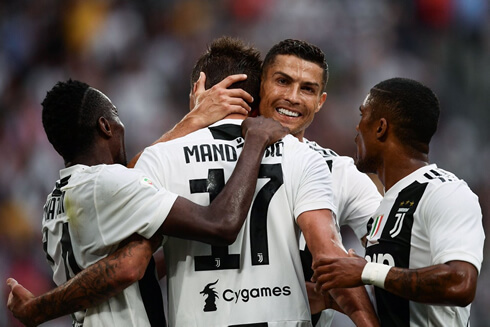 Pjanic in the first half with a mid-range strike from outside the box and Mandzukic later in the second half finishing a rebound that came off Ronaldo's foot, sealed the deal for the Italian champions and allowed them to secure the win. The Portuguese striker was once again a bit unlucky not to score a goal after having a few good chances to do it, but he'll certainly try again next weekend when Juventus visits Parma. 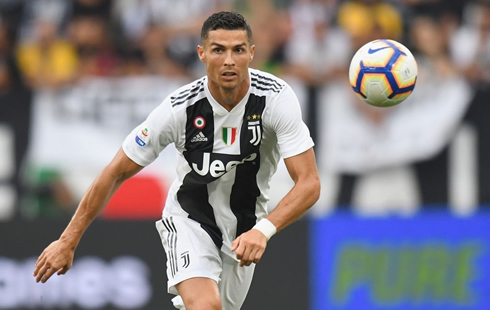 The headlines may speak about another goalless game for Ronaldo, though he was quite unlucky today, but Juventus are moving from strength to strength in Serie A as they won their match today vs Lazio 2-0. After last week's surprisingly enticing encounter, Juve prepared for a tougher opponent in Lazio, however their experience won them the match in the end, as they were able to maintain a clean sheet and seal a 2-0 win. The star of the match was João Cancelo and it's now clear Juve have picked up an absolute gem in the Portuguese wingback and his maurading runs up and down the flank were too much for the opponent to deal with all match long. On the other flank, however, Alex Sandro had a shocking match. A really poor performance from the Brazilian, who fans are counting on to build a partnership with CR7 down the flank. The goals today came courtesy of Miralem Pjanic and Mario Mandzukic. Of course, we are all still awaiting Ronaldo's first goal. While he's played well, he's been quite unlucky too. Especially with the second goal today, as a late touch by the keeper stopped him from tapping it in from just six yards outside the box. Instead, Mandzukic was able to finish easily as Ronaldo smiled, no doubt hiding some frustration. It appears Allegri will have to spend some time to figure it how to get the most out of his front line. The Juventus midfield were unable to consistently find space in the Lazio midfield with their creativity and the front line suffered as a result. Ronaldo still seems more comfortable when placed with a big center forward as opposed to being the #9, but it's still early in the season and the squad is too talented not to figure it out. 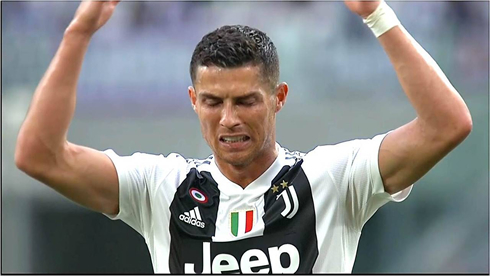 Cristiano Ronaldo next game for Juventus is on September 1 of 2018 against Parma. You can watch Parma vs Juventus, Girona vs Real Madrid, Fulham vs Burnley, Manchester United vs Tottenham, Newcastle vs Chelsea, and Borussia Dortmund vs RB Leipzig, all matches provided from our football live game pages.